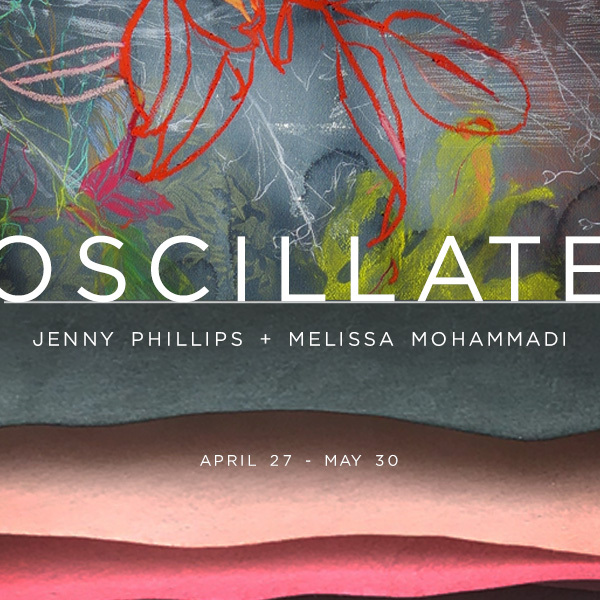 Join us for a champagne reception for gallery artists Jenny Phillips and Melissa Mohammadi's show, Oscillate. With works using ink washes, pastel, fabric and wax, this show includes a gathering of lushly colored pieces that reference botanical worlds, pattern and time. Perfectly timed with entrance of spring, this is a show is not to be missed.